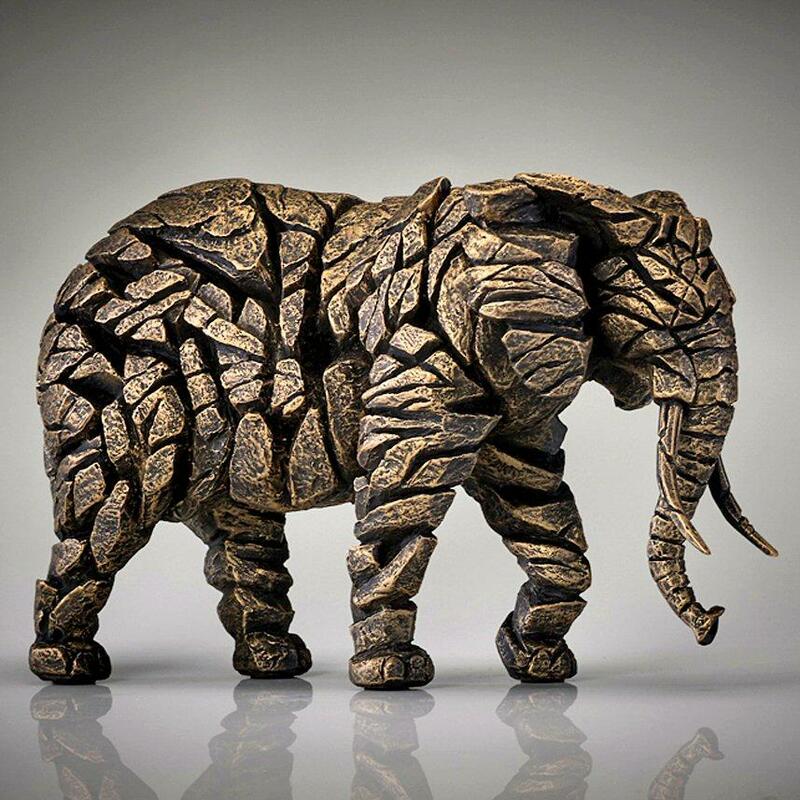 Elephant sculpture by Matt Buckley from the EDGE Collection. Native to Africa and parts of Asia this magnificent creature is now becoming endangered and the subject of a number of preservation initiative by the WWF and others. Elephants are revered for their strength, power, stamina, longevity, loyalty and intelligence - attributes that have cemented their place in modern cultures all around the world. 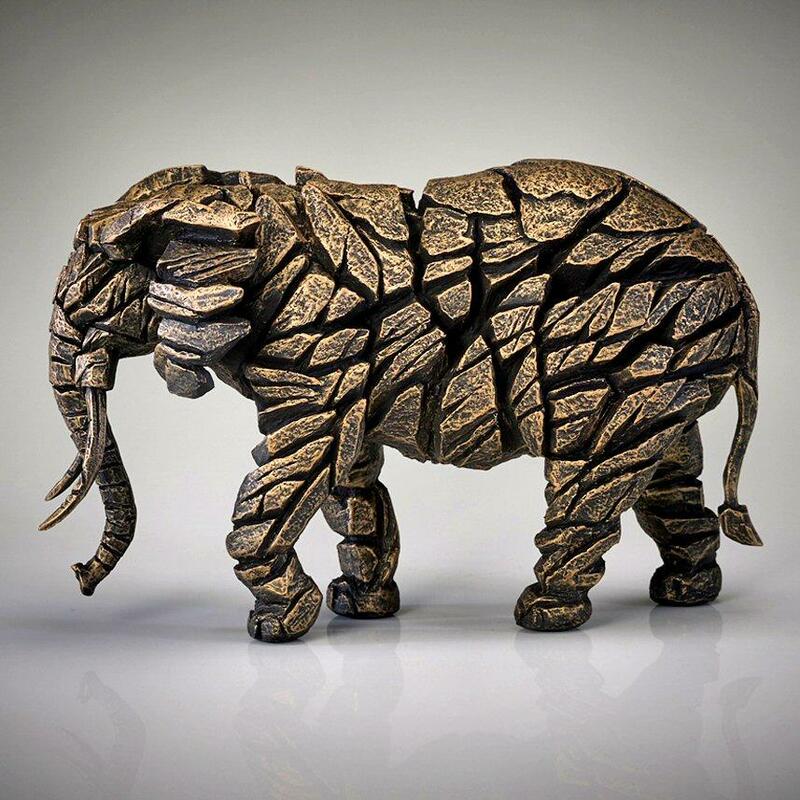 Matt Buckley's timeless sculpture pays tribute to this much loved animal. This sculpture is finished in gold but there are also versions in mocha - ELEPHANT in MOCHA ED04 and white - ELEPHANT in WHITE ED04W.